I'm looking for information on William Nesbitt and John McCoy. John McCoy maintained, leased land from abt. 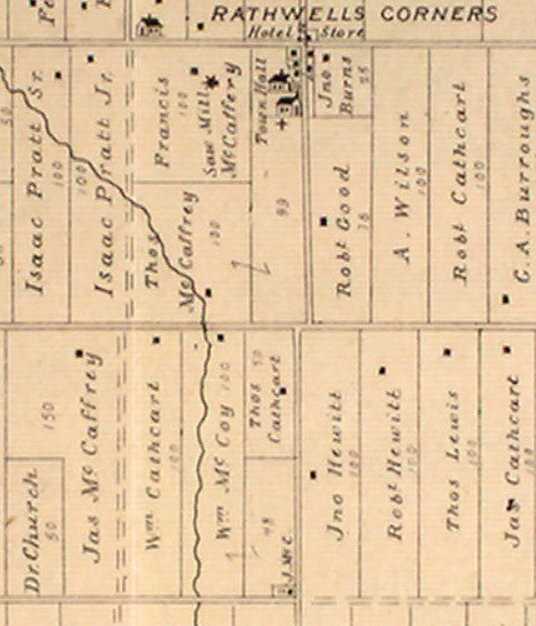 1837-1840 as he was recorded in 1841 Goulbourn Census. I think they would have served in the Richmond Milita. My family took over the property that William Nesbitt was deeded by the Crown. we began to farm it. Lot 21 concession 7 of Goulbourn is the location of the property. Here are just the first couple of generations. and also had 48 acres on Lot 22, Concession 7. 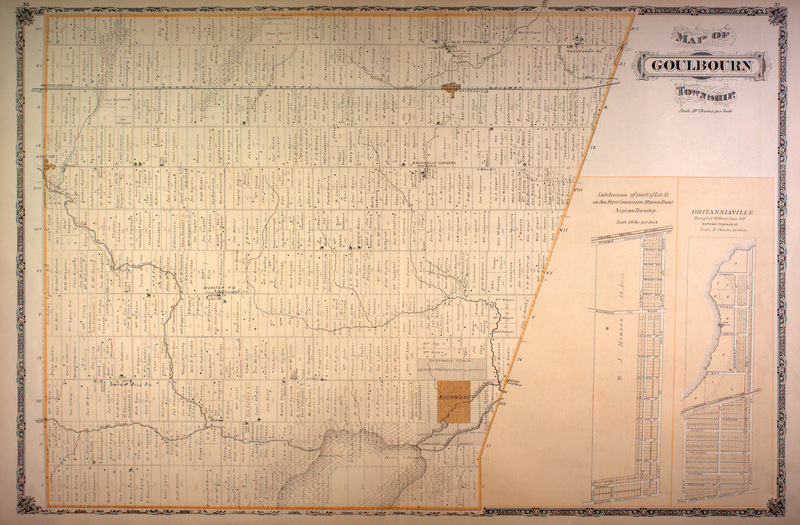 The map on the left shows the land of S. Nesbitt in 1879, just west of Richmond.